Why store your stuff under your bed, when you can keep it neat, tidy and clean inside a storage bed? 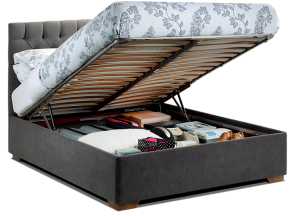 We are the leading storage bed manufacturer in the UK and use innovative design to offer you comfortable beds that have surprising amounts of storage too. As Furl we are a relatively new name, but in fact we’ve been making storage beds as the Storage Bed Company for many years. Having been inspired by storage beds he remembers from his childhood in Spain, our founder David Norman created a range that incorporates performance and intelligent design with style. Take our Max storage bed. It has 35cm of storage depth – which (in a King Size) is ample to store several suitcases, shoe boxes or even golf clubs – yet is only 38cm high. At the other end of the scale is Tiny. Its slender legs give a greater sense of space in your room, but it is in fact far from tiny. This is a storage bed that is just 36cm high yet still manages an impressive 33cm of storage depth. 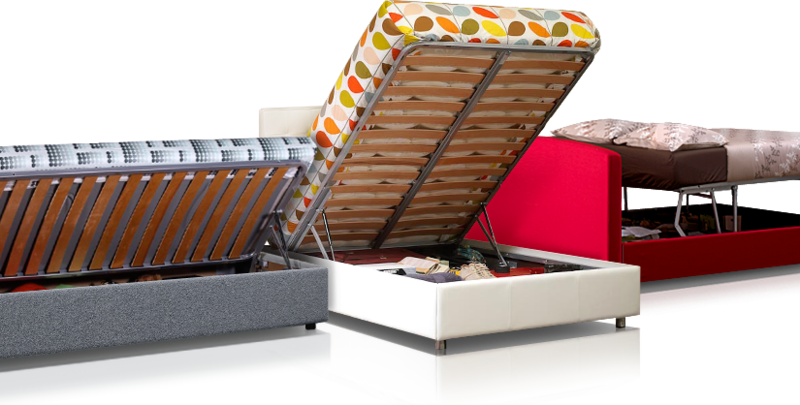 Like Max and Tiny, all of the storage beds in our range are available with either a side, end or alto opening mechanism. 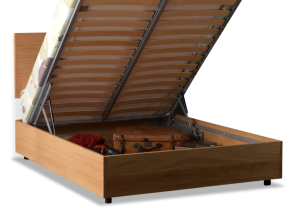 The mechanisms themselves are something special and very much the essence of what makes our beds suitable for everyday storage. Each one is gas powered so the bed can be quickly and easily opened and closed. 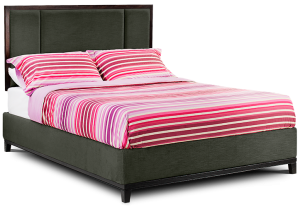 The bed will even stay open too, making it easy to reach even things stored right at the back. All of our storage beds are available in sizes from Single to Super King. No two are alike either because we invite you choose from 100s of fabrics and leathers and a range of optional extras such as a built in security box or lock and cover to keep things extra secure. All of our storage beds are on display alongside our other living furniture (transforming tables, folding chairs, sofa beds…) at our showroom in London. To arrange an appointment to visit – or for any other information – please call us on 0208 451 6999. Previous Previous post: Who are Furl?